Born from the ashes of another Spanish band, Steel Horse, Frenzy was started by bass player Angel Munoz and vocalist Anthony Stephen in 2015. 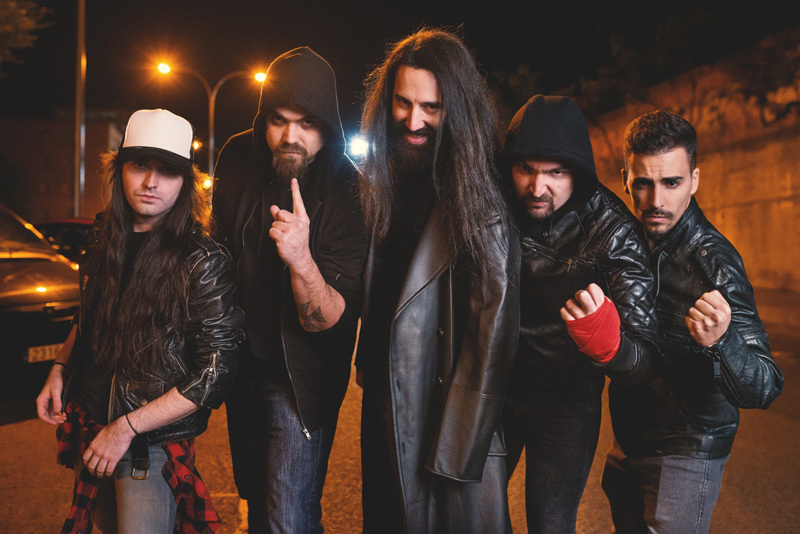 Combining their love of heavy metal and comic books, the band quickly dropped an EP, Lethal Protector in 2016. Then they set off to tour, play festivals, and begin to record their first full-length album. 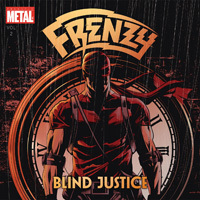 Blind Justice, arriving in February, contains 11 brand new tunes from Frenzy. For their music, Frenzy unapologetically plays traditional heavy metal, straight out of the New Wave Of Traditional Heavy Metal. The tunes within Blind Justice feature characteristics common to the classic genre, including ample gallop and groove, notable twin guitar harmony, soaring vocals, and an abundance of feisty guitar solos. 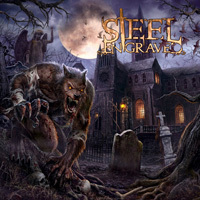 If you love guitar metal with plenty of shredding, you will love this album. Lyrically, as mentioned earlier, Frenzy draws from the imaginative world of comic books including Daredevil, From Hell, The Killing Joke, Silver Surfer, X-Men, and many more. Dig the terrific cover art by Mike Mora (Heavy Metal Magazine) and Javier Pastor (Evil Rite). For the songs, most all simply work those aforementioned angles. Get the gallop and groove going, twist in melody and guitar harmony, some gang vocals here and there, and then aim for the guitar solos. It's the perfect heavy metal plan. You get some speed with Blind Justice, Velocity, Mad Ball, and Shred Or Die. Plenty of guitar solos in that last one. For something heavy and steady, listen for We Are The Future and fine gang vocals. With Save, you'll find Frenzy bumping up the groove for some heavy metal rock. A song such as Killing With A Smile offers a tough riff start with screaming guitar intro before dropping into more heavy metal rock. All in all, Frenzy's Blind Justice offers a solid, nearly flawless, platter of entertaining traditional heavy metal with plenty of groove and loaded with frenetic guitar work. Easily recommended. Frenzy's Blind Justice offers a solid, nearly flawless, platter of entertaining traditional heavy metal with plenty of groove and loaded with frenetic guitar work. Easily recommended.